Drag and drop the panels. Drag and drop the tools on the panels. Drag and drop the extra tools and other devices or storage solutions on the floor space. 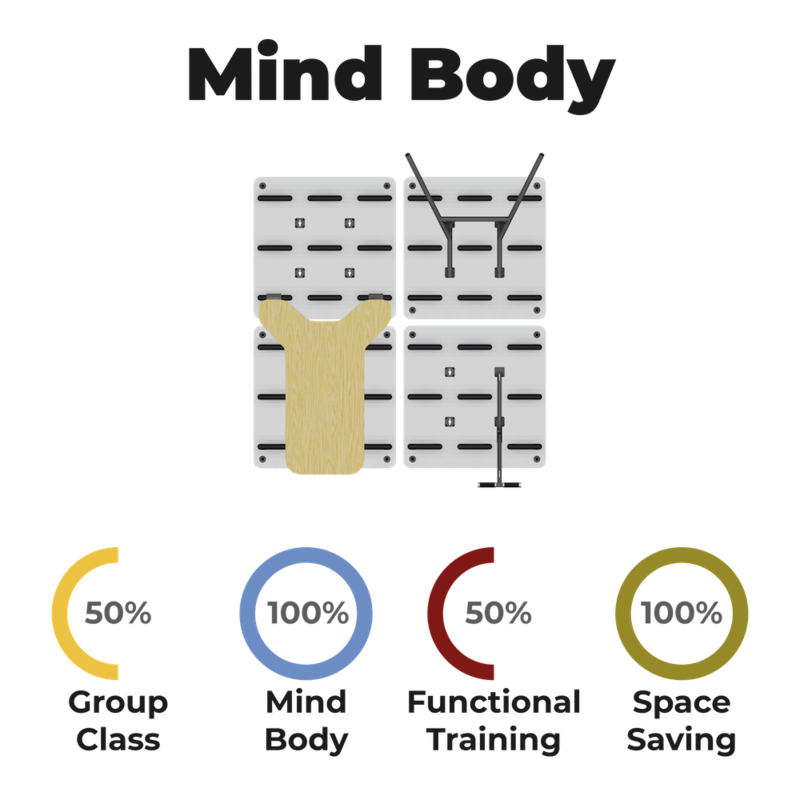 With Training Wall you can maximise the potential of the available space. Draw the dimensions of width and length to get the maximum possibilities. 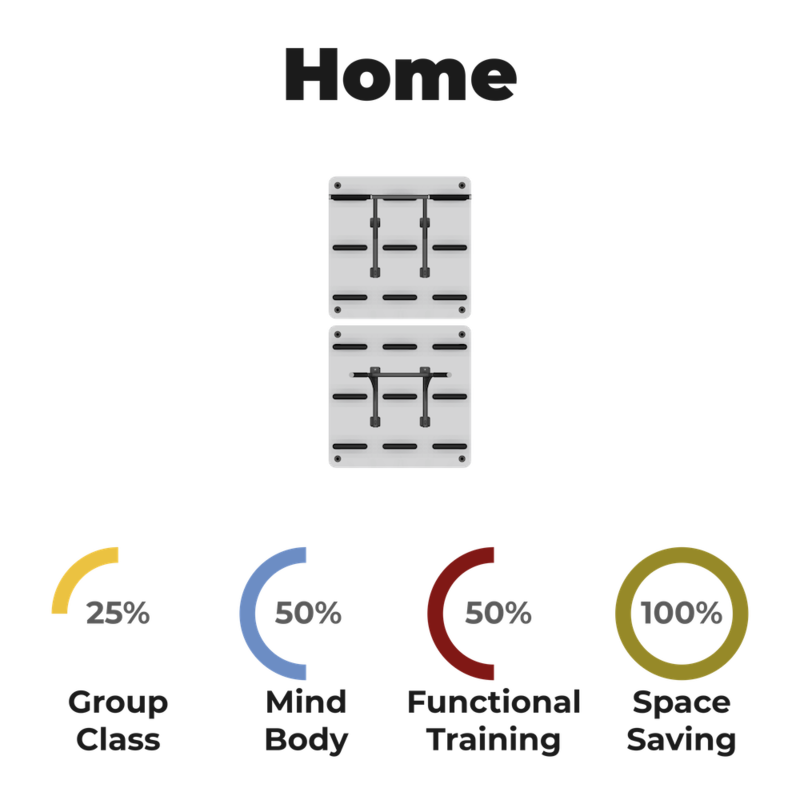 The settings on Training Wall can be varied according to it’s required use, group classes, small groups or Personal Training. 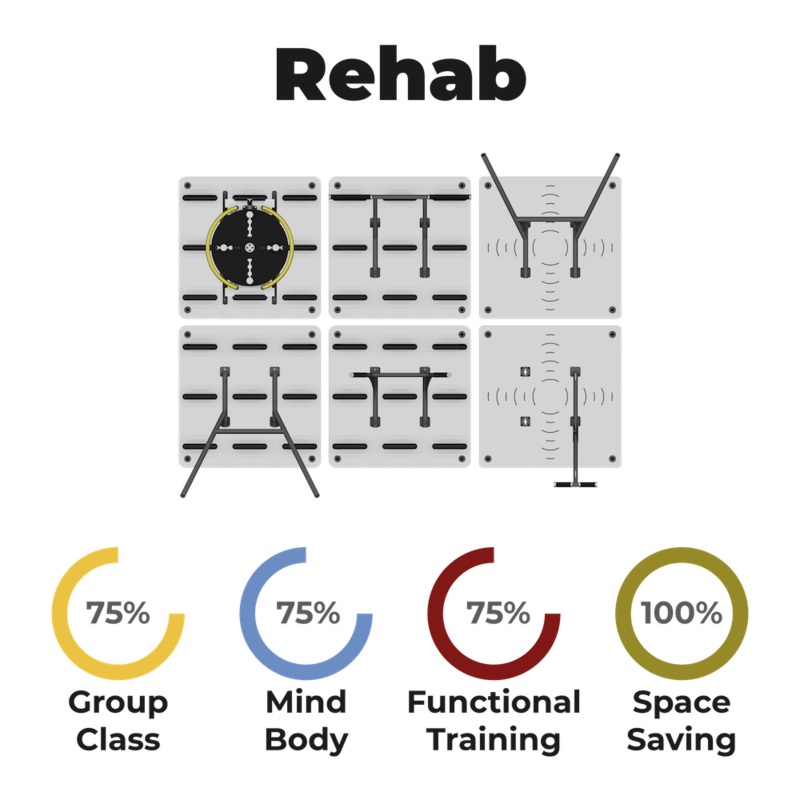 Depending the utilization we have to place a certain amount of panels to take the maximum benefit. Panel selection will depend on the planned use of the wall, Tools or storage solutions required. Options include; Wall Unit, Wall Station,Rebound Panel,Storage Panel or Peg Panel. 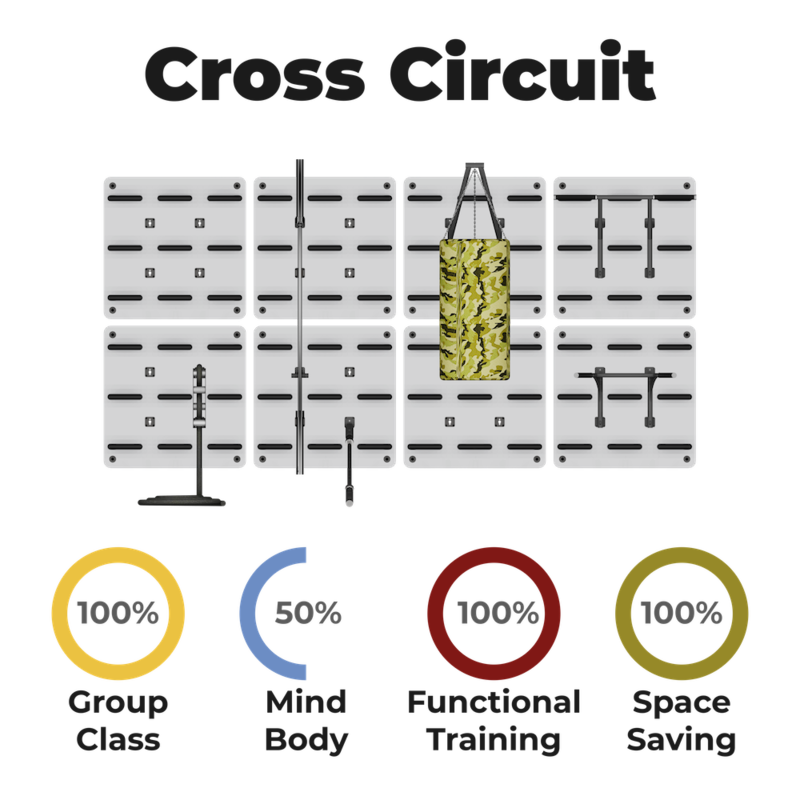 Depending on the number of panels, its type, and tools chosen you can have the perfect setting for your needs, body-mind, cross circuit, rehabilitation or even home use. Below we propose you some examples of setting, but don’t hesitate to contact us for further information.